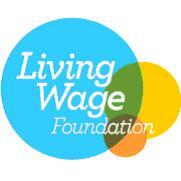 The Living Wage Foundation is pleased to a nnounce that NNRF, has today accredited as a Living Wage Employer. Their Living Wage commitment will see everyone working at NNRF, regardless of whether they are direct employees or third-party contracted staff; receive a minimum hourly wage of £8.75 in the UK or £10.20 in London. Both rates are significantly higher than the statutory minimum for over 25s of £7.50 per hour introduced in April 2017. Katherine Chapman, Director, Living Wage Foundation said: “We welcome NNRF to the Living Wage movement as an accredited employer.